Microsoft has once again pushed out another big update to their Android launcher app, Arrow Launcher. The update is in the Play Store now and has a number of improvements and new features. In fact, there are three big features that users of the launcher will likely enjoy immediately. First is the ability to customize the icon and name of individual apps. All you have to do is long press the icon and it will pop-up a menu that gives you these options. Next is an all new backup and restore feature. This gives you the option to save your app layout and settings and restore them if you need to reinstall the launcher. This is a huge win as you no longer have to recreate your home screen layout if you delete and reinstall the app. This is something many other launchers do so it is great to see Microsoft bring the feature to Arrow Launcher too. phone screen the way you want it. Previously you had very limited options on what you could do with wallpaper images and frankly, this feature takes Arrow Launcher ahead of many other launchers where you can’t do this (I’m looking at you Google Now Launcher). Aside from the new features, there are the customary bug fixes and performance improvements. As always, even if you aren’t all that big on the new features, get the latest update so you can have the latest-and-greatest as far as stability. 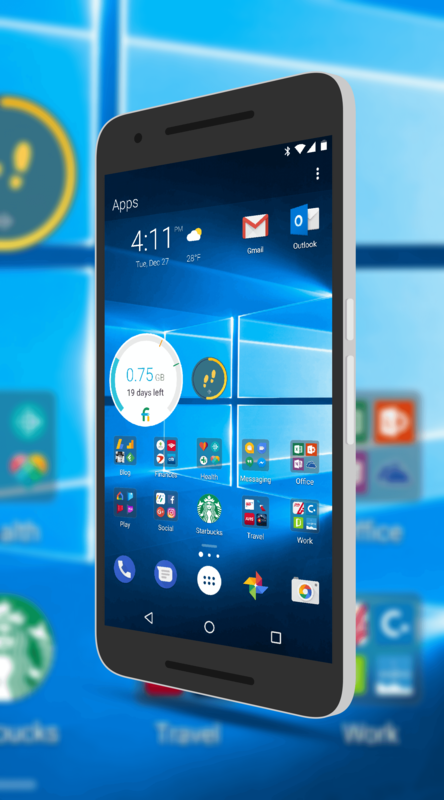 To check out Microsoft Arrow Launcher, head over to the Play Store. It is a free download and an excellent launcher option for your phone.